How does one deal with their Saturn Returns and all the life questions that come rushing with this period in your life? Yes my friend and fan, the time has come for you. Like Athena tells Telemachus in the Odyssey as he searches for his father, “you are no longer a child, you must put away childish things.” I wouldn’t go that far. Zamboni reccomends you never put away eating ice cream, karaoke or fart jokes, as all three are proven to prolong life- as long as they are accompanied by a high fiber breakfast. Don’t cross threshold of adulthood without taking small suitcase of childishness with you. You have come to that place in life. Too old for a keg party, but too young to have job with health care. Too old to have bedazzled cellphone but too young to push baby stroller. Zamboni knows this well. It was at the age of 28 and half that I decide to leave the castle in which I was raised from age 14 on (my cheese farmer parents left me on the Baron’s doorstep then, due to poverty) and joined the Estonian Air Force. The 70's Disco Dancer of the Solar System, who wears rings any more! You tell me you have “questions that come rushing,” at you but are not specific. This tells me you are either too shy to include them, or that perhaps you already know the answers, somewhere, to the questions you have. Since you are fan of hugeness to me, you must be of intelligence, so perhaps the ladder is true. Q: Should you keep following that dream and juggling three waitress jobs or do like mom says and take that job in aunt Carol’s real estate office that pays good? A: Follow Dream. You are living once. Q:Will boyfriend ever ask me to marry him before my hair is gray and memory lost? A: Only if he gets scared he lose you. Like this Beyonce say, “put ring on this you man”, I get lyric right, no? Q: Will I ever get free of my parents shadow over me? A: Not quite- even Zamboni was in therapy for this with actual Freud- didn’t work. (Also second hand cigar smoke gave me hives.) Just try and see it for what it is, Shadow. Q: Will I have children? A: Yes. I know this because you are big reader of Zamboni, an act which itself has been known to impregnate many women and even one man. Hope you read and signed disclaimer when you subscribed. So my dear reader, I hope I guessed at some of your questions. You are growing up. But go into your mom’s photo album, see a picture of you at half your age. Look into the eyes, really look. See that excitement, that hope? That has not changed. You are still you. At 74 plus change you will still be that. “Old”, “young”, “child”, “adult”- these are only words that no one feels inside. Saturn only “returns” from our perspective. 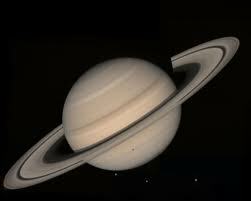 Be like Saturn itself- always moving and never stuck in one place. But if you do return to familiar ground after 28 years, of course it will look new! I have spoke- but your gut tells you more than I. Posted on May 17, 2011 May 17, 2011 by ZambonesmanPosted in meaning of life, UncategorizedTagged saturn, saturn returns. Next Next post: Hardest Question for Zambones?